Have you heard of that new Netflix series? A boy is missed in the forest since some days, suddenly many birds fall from the sky, a dead body with clothes from the 80s appear, a man attempts suicide, people are shocked. More and more Crazy things happen in Winden, a German town next to a atomic energy plant. Goodbye by Apparat brings and reinforces exactly the feelings we get in those scenes with that mysterical background. That song contains lines that fit the series perfectly. The main line says “for neither never, nor ever, goodbye”, a line that keeps up the misterious appearing in the meaning of not telling too much, but still revealing an important fact, that says: it is about time – On of the most important parts in the serial. This quote of the song pushes in the same direction. It sounds like someone needs help with something when there´s the question for giving a sign, but not telling the lies. It could be a shoutout for the truth though. Lets have a quick look at the sound itself. The musician Apparat uses to use electronical parts in his music in general, so we find this part here in this video again. In the first minute we don´t find a sung part, but we do find many electronical parts. Already in the beginning, when there´s almost nothing, but some sound effects that sound almost like a heart beat. Then we get a guitar similar instrument and just some silent words by a voice. Finally there´s the piano, that gives the important groundly strong sound, for giving the song a body. At about 1:40 the voice sings for the first time. In some passages in between, we get more electronical parts. Shortly before 3 minutes we finally get the chorus with the strong phrase we saw before. It ends as it has started: with some silent parts including electronic, slowly getting more silent. The series changes the dimensions a bit. It says that the days aren´t just following each other. The days don´t just come one after another, they are connected in a never-ending circle, as the movie says. In the series, strange things appear in coherence with the past. The trailer tries to show first the passages that appear, to follow with the music by Apparat, as analysed before. Here we see another, more calm soundtrack of DARK that comes up with similar feelings. It doesn´t contain voices, but electronical music parts. At some point the series showes a scene of 1986 and there this song by Nena is played. Did you know this old famous song? In 1986 the videogame company Squaresoft was on the verge of bankruptcy and videogame designer Hironobu Sakaguchi had the plan to retire after completing the project he was doing, so he called it Final Fantasy, because it would be his final game. Final Fantasy turned out to be this huge saga that reversed Square’s misfortune. Final Fantasy X is the tenth game in the Final Fantasy series, and was the first to be developed for Play Station 2. FFX is a Role-Playing Video Game by Squaresoft (now known as Square Enix after the fusion with Enix in 2003). Presented in 2001, it’s among the 20 best-selling console games in history and the second best-selling game in the series after FFVII. This videogame was important because it featured realistic characters’ facial expressions, achieved through motion capture and skeletal animation technology; life-like visual effects as lights and shadows between the characters clothes; 3D locations and it was also the first in the series to incorporate voices in the dialogues, dubbed by professional actors. But I want to talk about the Original Soundtrack, specifically. I say the original one because in 2013 Square Enix launched a Remastered HQ version of the game and a big part of the sountrack was rearranged for better sound quality but it lost the nostalgia factor that the old sound had. That was, in part, because the original one was in MIDI, which is a technological standard that gives it a more “electronic” or “retro” sound to the instruments. After the critics, they included an option to change the track version. 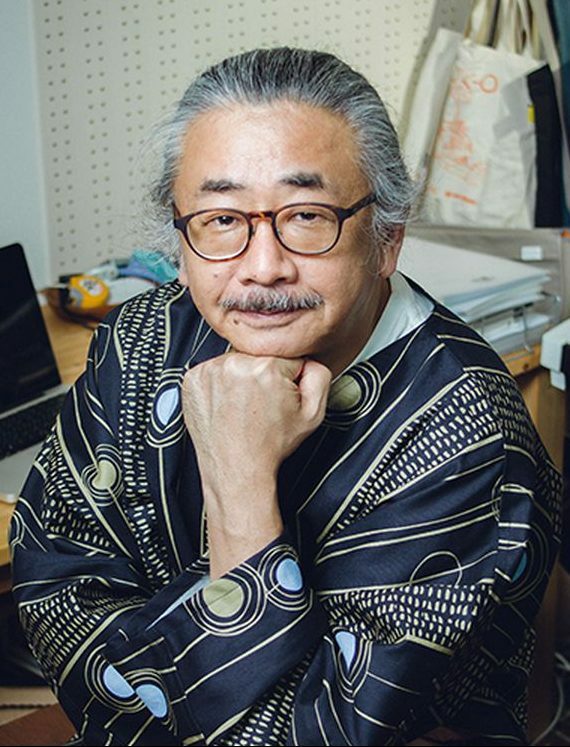 Final Fantasy X’s music was composed by Nobuo Uematsu (51 tracks), Masashi Hamauzu (20 tracks) and Junya Nakano (18 tracks). It was the first Final Fantasy title in which Uematsu was not the only composer. These two new composers were chosen for the soundtrack based on their ability to create music that was different than Uematsu’s while still working together. This is the most famous track on the game but Uematsu wrote it years prior for the recital of a flutist. Then, he saw that the track didn’t work for the occasion and decided to re-use it later, working perfectly for FFX. The theme is first played during the opening, which shows Tidus, the protagonist, and the other characters at the ruins of Zanarkand, the city that used to be his home but was now in ruins, as they prepare for their pilgrimage. This theme is played during key moments, typically rearranged and under other titles like “Movement in Green”, “The Truth Revealed” and “Ending Theme”. This is a rather sad track that talks about Tidus’ homeland Zanarkand which is also a metaphor for utopia and hope when everything is lost because the city of Zanarkand was destroyed 1000 years before the events of the game yet Tidus keeps saying that he will take his friends to Zanakand. Poetically, Zanarkand Ruins is the final destination of their pilgrimage to defeat Sin, the main villan, creating a narrative cicle. This theme plays when Tidus is heading for the blitzball stadium in Dream Zanarkand (the one from the first scene), and when he is remembering Jecht, his father and most famous blitzball player of all time, showing him the Jecht Shot, the trick he is famous for. It plays for the final time after the group wins the final battle and the villagers of Besaid Island are rejoicing. It’s hopeful and positive like Tidus, who even though has a sad story is mostly cheerful. Yuna has two themes attributed to her named “Yuna’s Theme” and “Daughter of the Great Summoner”. “Yuna’s Theme” appears everytime Yuna has an important scene and “Daughter of the Great Summoner” plays when Tidus talks to her for the first time in Besaid, and on the deck of the airship before the final fight. Both of Yuna’s themes are calm and hopeful but a bit sad in my opinion, like her fate, even though she survives in the end. She’s 17 and “knows” she won’t have a normal life which deep down makes her sad, especially after meeting Tidus but she is always devoted to her duty just like her father who was the highest summoner. It plays during the romantic scene between Tidus and Yuna at the Macalania Forest after their escape from Bevelle, where Yuna was being forced to marry Seymour, one of the villains. It has arrangements from “Daughter of a Grand Summoner” which plays during Yuna’s introduction, “Yuna’s Theme” which plays during scenes involving Yuna, “Game Over” which plays when you fail in a battle, “Spira Unplugged,” which plays in Besaid Village (Yuna’s home and where they met) and Kilika Port (where Tidus realises the importance of her role), and “A Fleeting Dream” which plays on the Zanarkand Ruins road, meaning the end of their journey and Tidus’ home. The lyrics of the song as well as the melody talk about an impossible love and how wonderful it would be if they could be together. It gains meaning when we know that Yuna is supposed to die in order to defeat Sin and Tidus is not real but an old soul. An orchestral version of the song plays during the ending credits, hinting that their love remained. This theme is burned in the memory of every FFX lover after hours of gameplay because it plays everytime there’s a battle and works in a loop. Its sound is energetic and exciting, working perfectly for the characters movement during battle. This is the heavy metal song that begins FFX, playing during the blitzball game in Dream Zanarkand when Sin destroys the stadium. Its growling vocals and wild guitar works perfectly with the destruction and action elements of the opening scene. Also, a looped version plays during the battle, linking it to the begining of Tidus’ journey. This track was not altered in the remastered version. This hymn consists of a single melodic line reminiscent of Gregorian chant and in the game serves as a transitional song and an indicator of religious importance or solemnity, appearing in every temple during the pilgrimage. One of the plots of Final Fantasy X is the religious corruption that ruls its world, prohibiting machines as a whole yet Bevelle, the religious capital is full of this technology. The theme’s main voice changes in every Eon’s chamber, the to-be Yuna’s Eons souls are kept, sometimes is a young girl, a tenor man, etc depending of the Eons “personality”. Final Fantasy X is a good example of amazing videogame soundtracks that elevate the narrative and the existing emotions while complementing the actions of the player. The characther’s themes represent well their story and personality and the main themes make the plot bigger and even more emotional. 30 years after Final Fantasy I, the soundtracks are still very much loved so in 2007 Nobuo Uematsu created a symphony concert tour that is still performing around the world called Distant Worlds: music from FINAL FANTASY. A symphony orchestra, a choir, and renowned vocal and instrumental soloists under the direction of GRAMMY Award-winner Arnie Roth and a multimedia show with scenes of the games. Who would have thought space was going to be that noisy? Armageddon is a science fiction movie directed by Michael Bay that was released in 1998. Its plot talks about an asteroid that is approaching Earth that is set to collide and cause a major extinction. All the humanity is aware of this threat and the NASA scientists come up with a plan that consists on drilling a 244m deep hole in the asteroid to split it in two parts with an explosion that has to take place in the middle of the meteorite. As we all know, the lack of air in space makes it impossible for the sound to be spread, that is why we say there is no sound in outer space. Ironically, this movie has plenty of sound. There was even an album release called Armageddon: The Album that includes artists like Aerosmith, Journey or ZZ Top. However, the movie soundtrack is not just music. 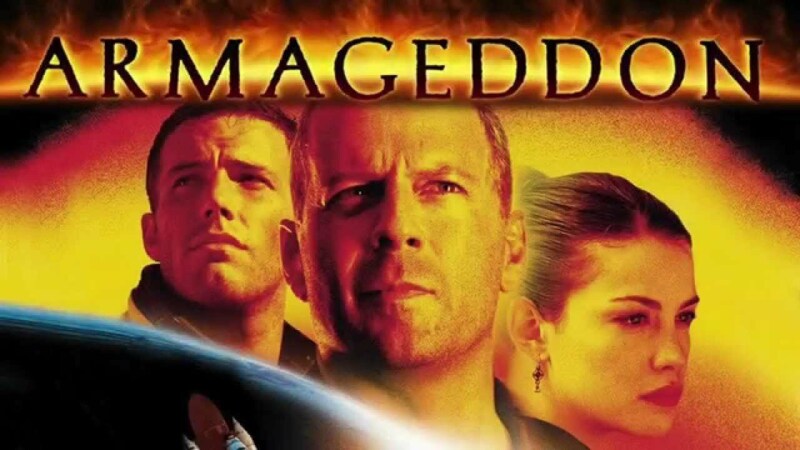 There are many well-used sound effects in Armageddon, that we will see later, that got this movie (deservedly) nominated as the Best Sound Editing and the Best Sound Mixing in the Academy Awards. The first scene that we are going to talk about is also one of my favourite ones. It takes place when the people who will risk their lives to save humanity are about to take off. The sound in this scene is crucial because, in one hand and as the most important thing we will hear, we have the president’s speech that will connect all the images that we are seeing from people from all around the world. On the other hand, we can hear a music that keeps growing as the speech goes on and that is used to give us an epic, heroic and hopeful sensation that will make humanity believe that it is possible to survive. As we keep seeing images from different countries, we can hear the sound of these different places, for example, we can hear someone talking in French when we see the images from France, or we can hear the people applauding when the heroes are entering to the spaceship. The music plays a very important role in this scene in particular. Just when we hear the music in the beginning, we are automatically aware that there is danger and that something threatening is about to happen. This apocalyptic/action music will hit its highest level right when the spaceship clashes with some of the asteroids and will make us think the worst, combined with the “We are going down” chants. The sound effects used in the explosions play a big role in this scene, as they give the desired dramatic and spectacular result in the spectator. Although we would have a very different result if we stick to reality, as we would not hear a thing. We arrive to the most heart-breaking scene in the movie, which, of course, has a very special music. The piece we hear from the beginning is telling us what we already know but we don’t want to believe, that one character will be sacrificed in order to complete the mission. Harry’s decision to be the one sacrificed instead of A.J. is even more heart-breaking when we hear A.J.’s screams asking him not to do it. Harry’s serenity while saying his last farewell words along with the music turn this scene into one of the most memorable ones of the movie. This Aerosmith song was nominated as the Best Original Song in the Oscars and in the Grammy Awards and it represents perfectly the romantic side of this movie. A.J. and Grace are a couple who hide from Harry (Grace’s dad) in the beginning of the movie. I Don’t Wanna Miss a Thing sounds when we see one of the cutest scenes in the movie, a moment that makes us feel that nothing else is going on, just the two of them. 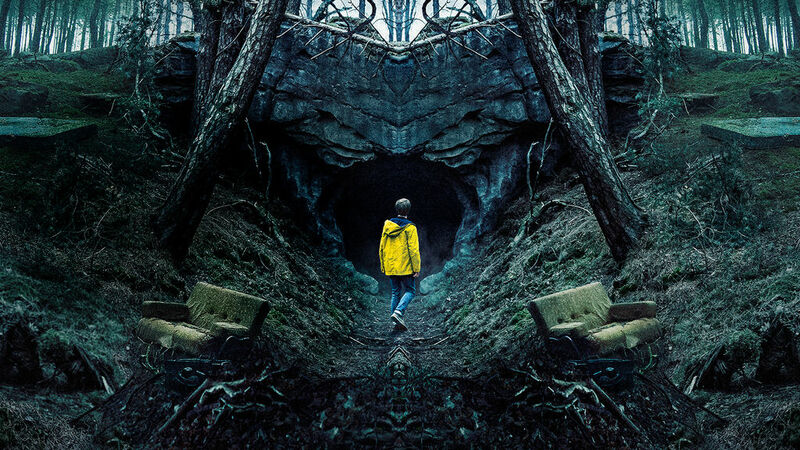 The soundtrack of this movie combines spectacular sound effects, to make us experience the action scenes as if we were there, apocalyptic sounds, to strengthen the sensation of fear, and romantic music, to make us believe that as long as there is love in this world there will also be hope, and this allows this movie to get to our feelings. As we have seen before, we probably wouldn’t have heard all those sounds that happen in space in this movie, but I think it’s a good decision to be a little less realistic in order to add all the sounds, because they really take this movie to the next level. The power of music: Requiem for a dream. Requiem for a dream is an American drama film directed by Darren Aronofsky in 2000 and it is based on the Hubert Selby Jr. homonymous novel. It is about two parallel stories about a mother and his disoriented son that struggle to have a better life in different ways, but at the end all is linked in the same place: they are trapped in a spiral of anguish and despair. A desperate film that would not be possible to understand without its soundtrack. It was created by Clint Mansell, a well-known musician who also create another film soundtracks such as The Hole (2001), Doom (2005) and The Fountain (2006), among others. His creations stand out for its variety because he is always trying to innovate and avoid repeating the existing pieces. The first is the simple one, it does not change his sense over the film and only appears in the moments when the characters are living their day to day, the routine. It helps to the spectator know more about them. The second is the central theme, the principal one. It is very dynamic because it is known from the beginning and is getting more and more power and importance. During the course of the film, we can see it is divided in three parts that coincide in three seasons of the year: summer, autumn and winter. The characters are introduced as a cheerful people without worries. However, the music introduces the spectator in a tension situation and makes them create an expectation of what may happen throughout the film. A chaotic music begins to listen to represent the fall in a well of the characters. Different images are combined with a compassionate music. We can see they are in misery and there is no exit. We feel compassion and empathy with the characters, we see its evolution and the tragic end. The central theme changes his meaning according to the situation in which the characters are. It prepares the spectator for the stunning end and helps in make the separation between reality and hallucination bigger. The music in Requiem for a dream is indispensable to understand the whole story, because it is not only about heart-breaking images, but also about music that emphasises the tension and devastation. A type of music that warns to the spectator about something that is going to happen at the end as it is does not seems really good.